What an amazing community effort to raise funds for the Farmers’ Drought Relief Fund! A total of $1,810.80 was raised at the August Bayside Farmers’ Market for the Rotary supported Farmers’ Drought Relief Fund. 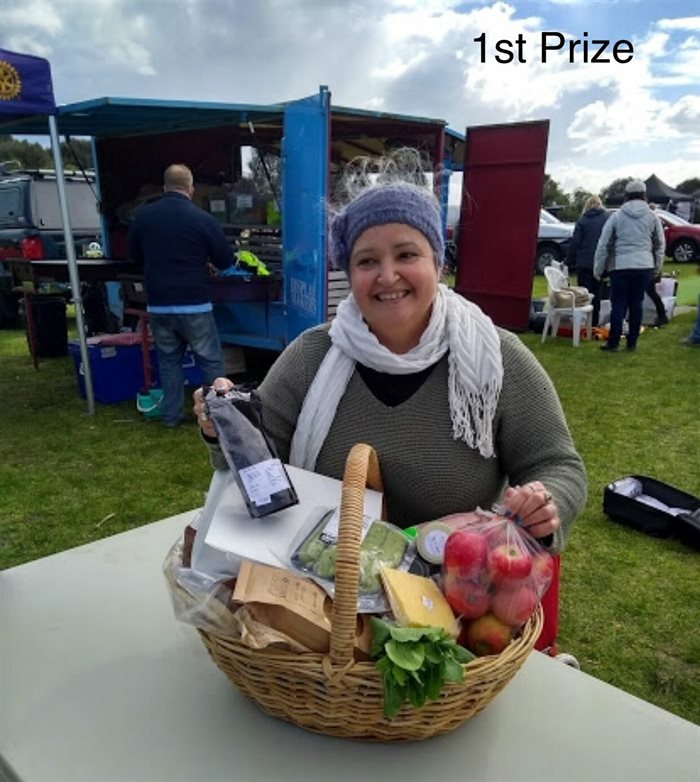 With the generous support of our market stallholders and other Bayside traders, who donated produce, gourmet goodies and other gifts, we were able to put together four fabulous hampers as raffle prizes. Visitors to the market dug deep and didn’t hesitate to support this very worthy cause by buying raffle tickets. And…..four very lucky shoppers came away with heaps of wonderful prizes. Thank you to everyone involved who contributed so generously to support the farmers!